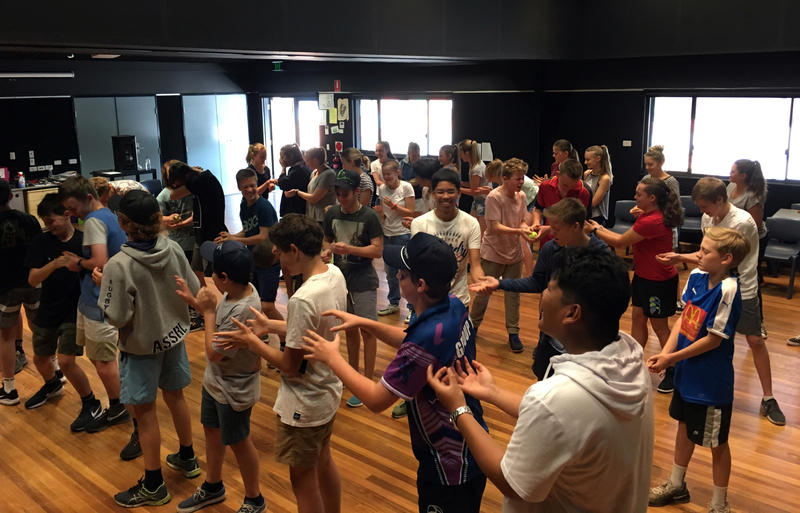 On October 9, the Young Lasallian team engaged in an action-packed and rewarding week in the New England region of NSW, visiting the school communities of Holy Trinity, Inverell and O'Connor Catholic College, Armidale. Lasallian Youth Minister from O'Connor Catholic College, Olivia Moore, accompanied Lasallian Mission Council's Youth Ministry Coordinator, Philippe Dulawan to Holy Trinity Inverell for the facilitation of the Year 8 and 9 retreats. The retreats focused on the positive ways to deal with emotions, understanding personality and self. The students at these retreats impressed the Young Lasallians Team with their strong sense of community, authenticity and their willingness to get involved. 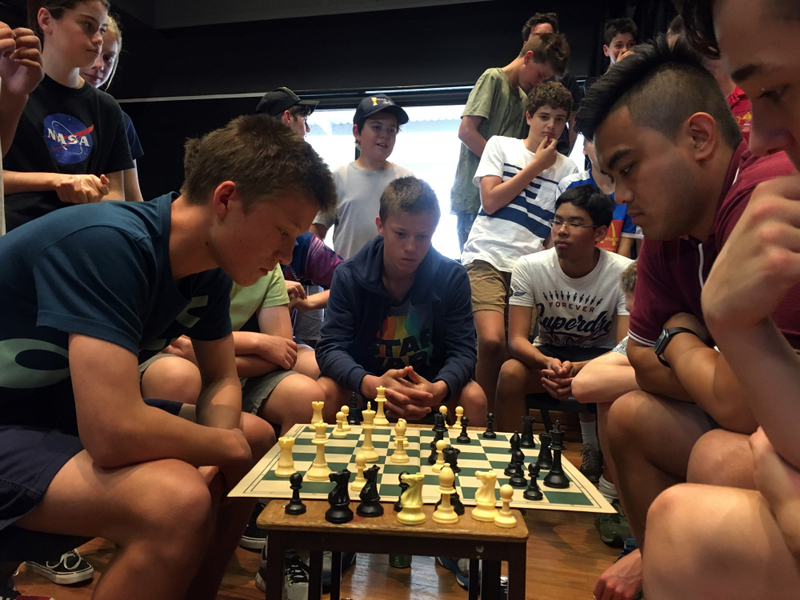 The retreats offered the opportunity for students to show their full range of gifts and talents, from dramatic performances to an intense game of chess. As the retreats took place in smaller communities with student numbers averaging 40 participants on each day, there was an opportunity for greater connection and engagement between facilitators and students. Many students remembered the Young Lasallians Team's visit from the previous year. On Wednesday October 11, Assistant Youth Ministry Coordinator Jordan Bottalico, joined Olivia and Philippe as they returned to O'Connor Catholic College, this time for retreat sessions for Years 9 and 10. Since 2016, O'Connor has engaged the services of the Young Lasallians Team to conduct retreats for Years 7 through 11 and as a result, there were many familiar faces as Jordan's continuing relationship with these students has helped to cultivate a high quality and genuine retreat experience. 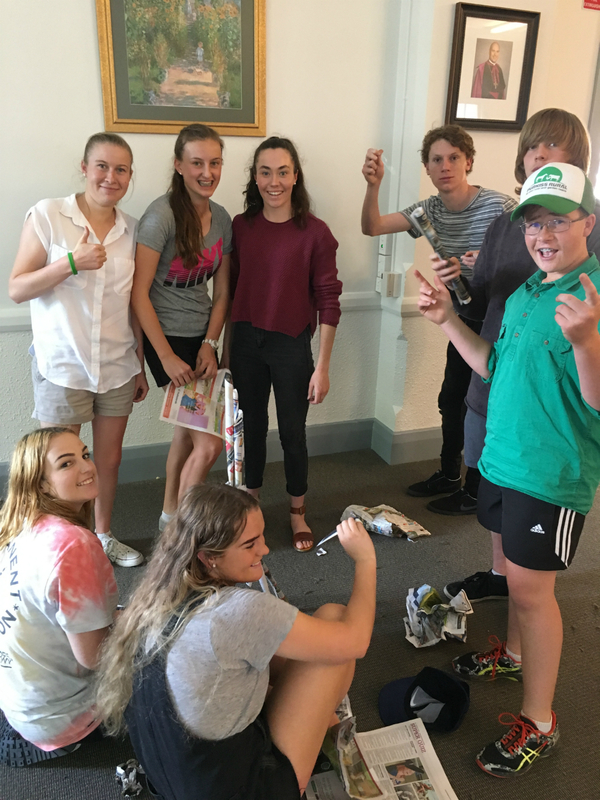 Highlights included a hearty rendition of "Waltzing Matilda," a boisterous competition of crowd charades and constructing a tower out of newspaper and sticky tape. These challenges gave students a hands-on experience to learn about leadership and develop their own leadership qualities to better serve their school community. After the retreat, the Young Lasallians Team invited a number of students to participate in the international Youth Survey (#SYNOD2018) called by Pope Francis. The team guided student leaders in discussion as an opportunity to add their own Lasallian voices to the process, offering honest and insightful feedback for the Bishops to consider. The Young Lasallians Team were invited to the school youth group which takes place every Friday afternoon. During these discussions, students, parents and teachers took the opportunity to congratulate Olivia Moore who is the first Lasallian Youth Minister at O'Connor Catholic College. Under the guidance of Olivia and other dedicated staff members, students who attended the Lasallian Youth Gathering (LYG) in July, have become a driving force in the school for Lasallian activities. They have implemented initiatives such as the Youth Mass twice a term, held in the local cathedral and led by a student youth band showcasing songs taught by the Young Lasallians Team from LYG. Overall, it was a productive and action-packed week for the Young Lasallians Team but more importantly, for all participants who engaged in all elements of Faith, Service and Community. The Young Lasallians Team would like to say a special thankyou the Moore and Roff families for their generosity and hospitality.